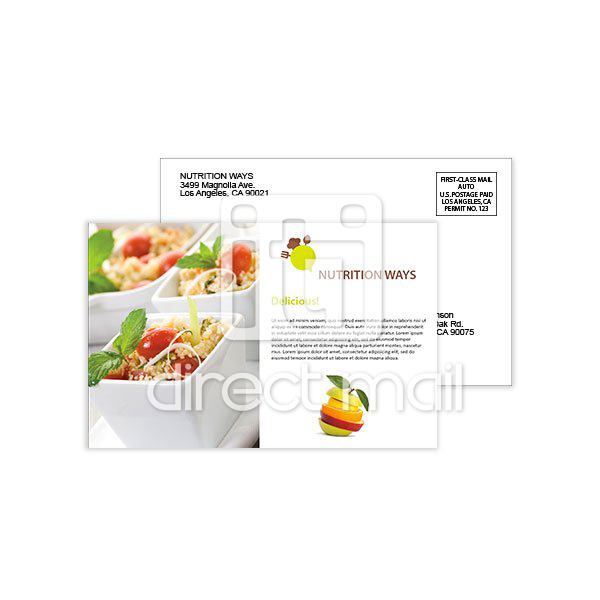 Variable data: Digital postcards are used for smaller volume orders (under 1,000) or postcards that require variable data printing on one or both sides. 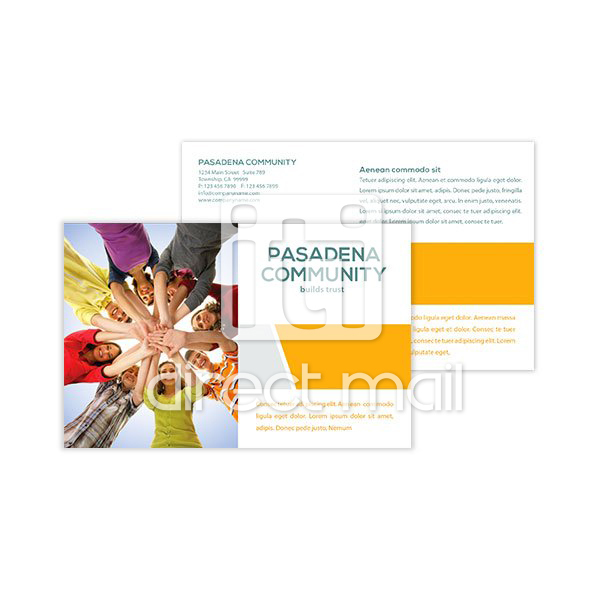 Mailing & addressing: If your postcards will be mailed, please refer to the FAQ link at the bottom which explains the restrictions you need to follow in leaving ample space for addressing purposes. Addressing and mailing services is optional. 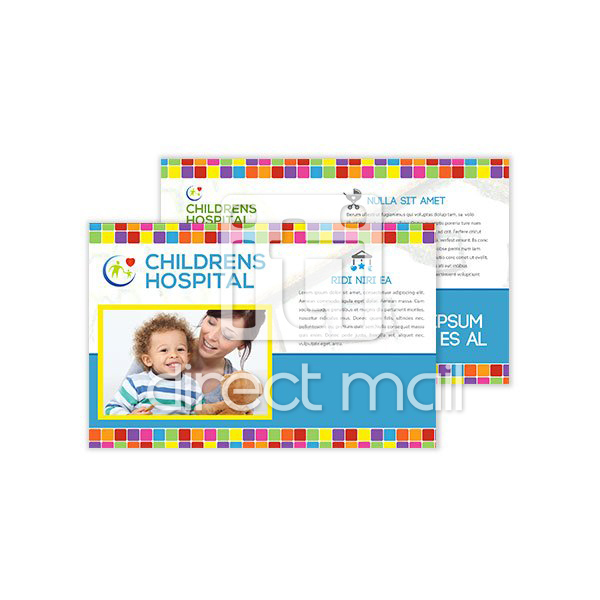 Since this product is printed digitally, your cards are address as they are printed, therefore there is no additional fee for addressing. 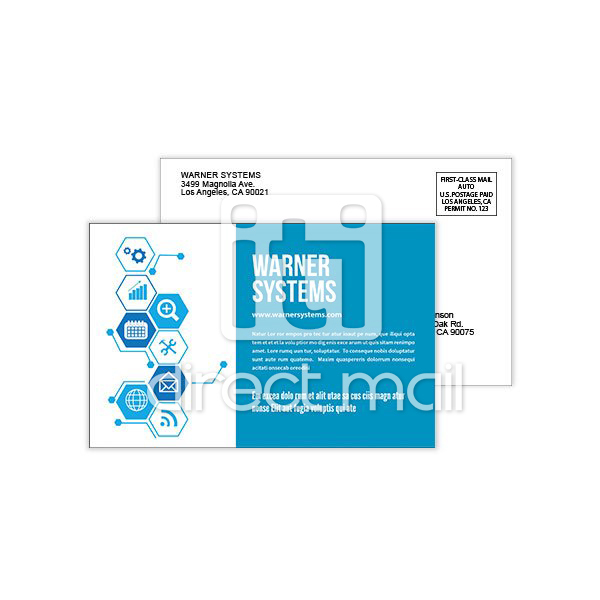 Postage: If we will be mailing your postcards, please see the FAQ document how to design your postage imprint information which needs to be printed on the address side, so you may make it part of your design. Live postage is not available for postcards. 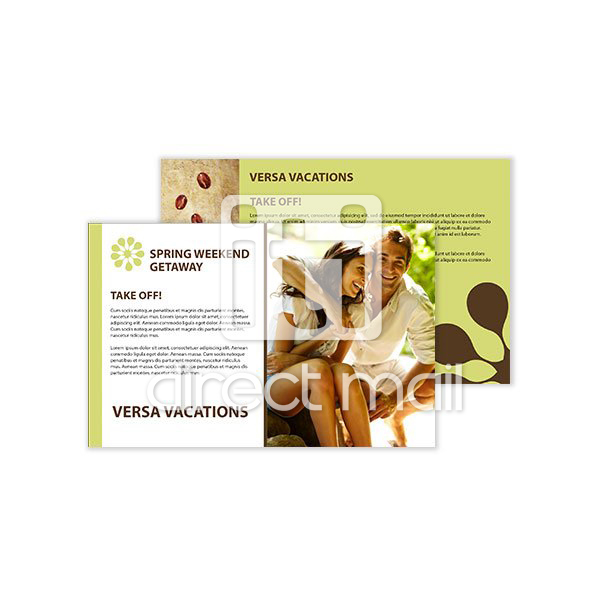 4x6 cards can only be mailed at first class, standard rate is NOT available for this size. 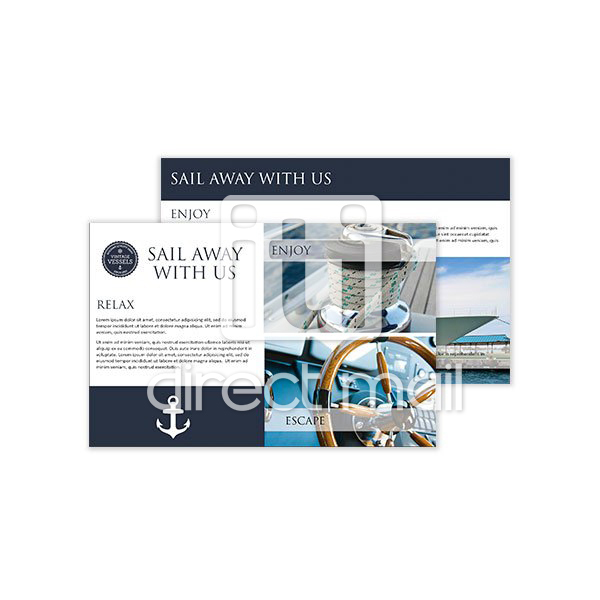 Postcards printed on offset press are more cost effective; but the only variable data printed on such cards is the recipient's address, see here. 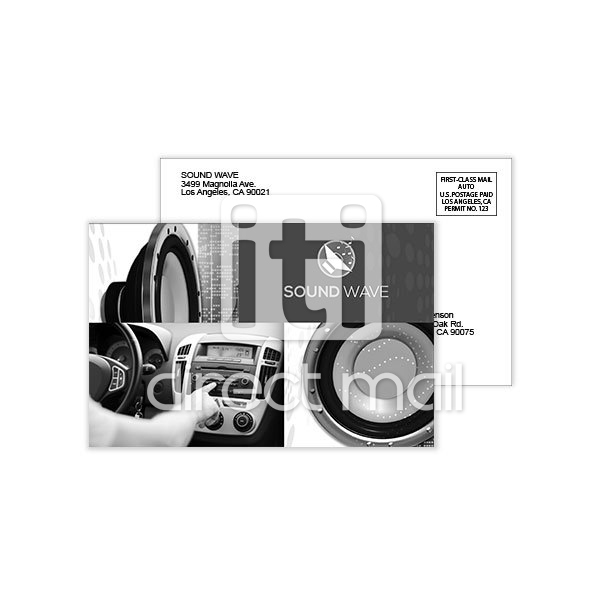 Paper weight: Printed on 10 or 12 point white glossy coated paper. Coating: Coated on both sides. Bleed: Printed full bleed, requires 0.25" bleed on all 4 sides. Therefore your submitted artwork needs to be 4.5x6.5 (see template below). Mail merging (variable data): You can merge any information from your mailing list on one or both sides of your card.